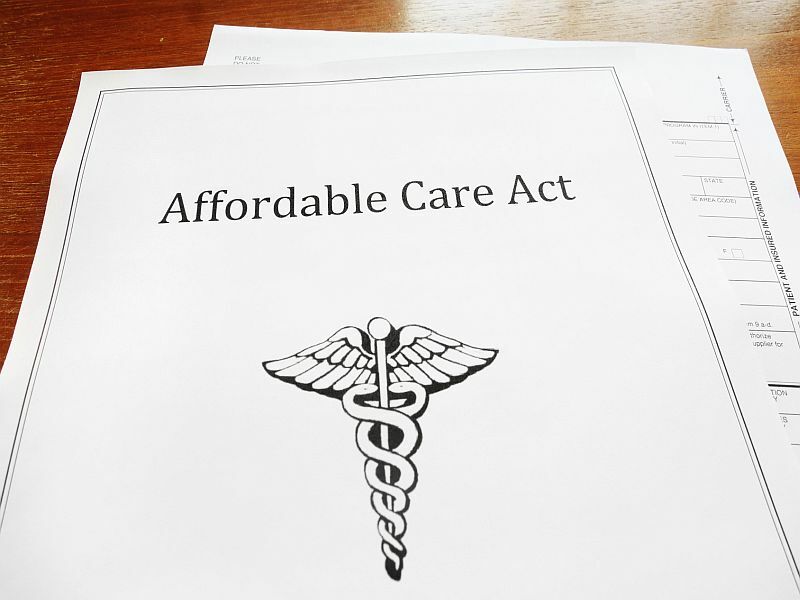 But, as has been the case since the Affordable Care Act (ACA) was signed into law by former President Barack Obama in 2010, attitudes about the health reform legislation remain polarized along party lines. A majority of Republicans (53 percent) want to repeal the law, sometimes referred to as Obamacare. Meanwhile, most Democrats want to keep it as is (40 percent) or have some parts changed (44 percent), the poll found. Republicans in the U.S. House of Representatives are pressing hard to come up with enough votes to pass an Affordable Care Act repeal-and-replace bill, despite criticisms that the proposed legislation would remove protections for people with pre-existing health conditions. The Republicans have been spurred on by President Donald Trump, who said this week that "I think it's time now" to vote on the bill. House GOP leaders believe they now have the votes they need and have scheduled a vote for Thursday. But the new poll shows Republicans "face a big uphill battle in persuading the American people to support their plans to repeal and replace Obamacare," said Humphrey Taylor, chairman emeritus of The Harris Poll. Caitlin Morris, director of affordability initiatives for the health care consumer advocacy group Families USA, agrees with Taylor. "This is really politically untenable for them to push forward with a repeal that is not supported by a majority of their constituents or Americans," Morris said. The new poll found that about three-quarters of Democrats (74 percent) said they were pleased when the first GOP attempt to repeal the Affordable Care Act failed in March. Fewer than half of Republicans -- 46 percent -- expressed disappointment that the first bill did not become law. Only 28 percent of the public -- including 58 percent of Republicans, 8 percent of Democrats and 24 percent of Independents -- believe the first version of the so-called American Health Care Act would have been better than Obamacare. Many more people -- 42 percent -- think it would have been worse. The revised version of the repeal-and-replace bill would curtail Obamacare's protections for people with pre-existing conditions by giving states the opportunity to waive those protections and allow insurers to charge more for those who are older or in poor health. That does not sit well with the American public, the poll found. An 81 percent majority want the Affordable Care Act's requirement of health coverage for those with pre-existing conditions to remain in place, with only 9 percent in favor of repealing those protections. Government subsidies to make health care affordable for low-income people (66 percent want to keep versus 18 percent for repeal). The mandate requiring businesses with more than 50 employees to provide a health plan or pay a penalty (61 percent want to keep versus 24 percent for repeal). The provision allowing children to remain on their parents' health insurance until age 26 (72 percent want to keep versus 17 percent for repeal). Medicaid expansion (54 percent want to keep versus 23 percent for repeal). But the highly unpopular "individual mandate" -- which requires all adults to have health insurance or face a penalty -- is one part of the Affordable Care Act that remains widely panned. A substantial 58 percent to 24 percent majority still favors repeal of the mandate. Health economist Devon Herrick is with the National Center for Policy Analysis, a think tank that promotes private, free-market alternatives to government regulation. He said, "I think it shows how fickle the public is in wanting to retain key provisions but not realizing the key provisions are what is actually costing a lot of money and driving premiums up." The public thinks "these are great ideas. I think sick people should have all the care they can possibly utilize, but don't make me pay for it. Let somebody else pay for it," Herrick said. But the drive for repeal has prompted many undecided Americans to take a closer look at the law and take a stand, Herrick said. The number of people who say they are "not sure" what should be done about the ACA has dwindled to 12 percent in the latest poll, down from 39 percent when the same question was asked in December 2010. This HealthDay/Harris Poll was conducted online April 26 to 28, in English, among 2,184 adults aged 18 and older. Figures for age, gender, race/ethnicity, education, region and household income were weighted where necessary to bring them into line with their actual proportions in the population. Propensity score weighting was also used to adjust for respondents' propensity to be online.